Today, wishing someone Birthday on Facebook has become a trend. Everyone sends birthday wishes to their friends on Facebook. It is easier and takes a bit of time. Moreover, Facebook reminds the birthday of a particular person, so you don’t have to search it. It means you can easily wish your friends and family members on Facebook. Facebook notifies you through notification about the birthday of a person. The best thing about this feature is you can now sync Facebook birthdays with iPhone and Mac. In other words, you can now add all of your friends’ birthdays in your iPhone’s calendar. By doing this, you will never miss someone’s birthday on Facebook. Facebook will always notify you about the birthdays of your friends but what if you were not online on the birthday date of your friend. Surely, you will miss it, and it is not a good thing. To prevent this situation, we will tell you how you can add your friends’ birthdays to your iPhone’s calendar. There are two main steps in this procedure. Just follow the steps and forget about missing someone’s birthday on Facebook. 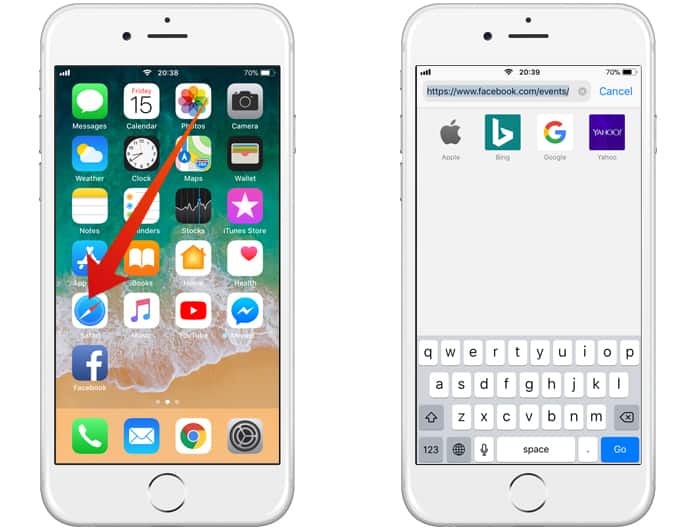 In this guide, we will show you how to sync Facebook birthdays with iPhone running iOS 11 or iOS 10. Follow the steps below to complete it. 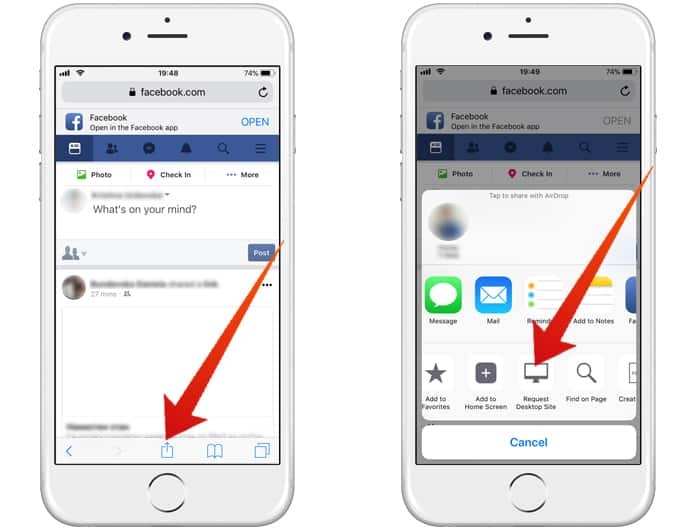 Step 1: Go to Safari browser on your iPhone and copy this link https://www.facebook.com/events/ to visit your Facebook events page. Step 2: Facebook will redirect you to the mobile version of that page, but you need to request the desktop version of the website. Simply tap on the options button and tap on the Request Desktop site option. Step 3: Once Facebook events page is opened, scroll down and find the Birthdays link in the right-bottom column. After that, tap the Birthdays option. Step 4: You will be prompted to subscribe to the calendar ”Friends Birthdays”. Step 5: Tap Subscribe and you should get the confirmation “The Calendar Friends Birthdays” has been added. You can repeat this process for the Upcoming Facebook Events. That’s all done. You have added the Facebook calendar to your iPhone. You can check your Calendar app and view your “Show Calendars” list. If you want to remove a subscribed calendar go to the Settings app and go to Accounts & Passwords. After that go to Subscribed Calendars and Delete the account. Exporting the calendar to your Mac is very easy. 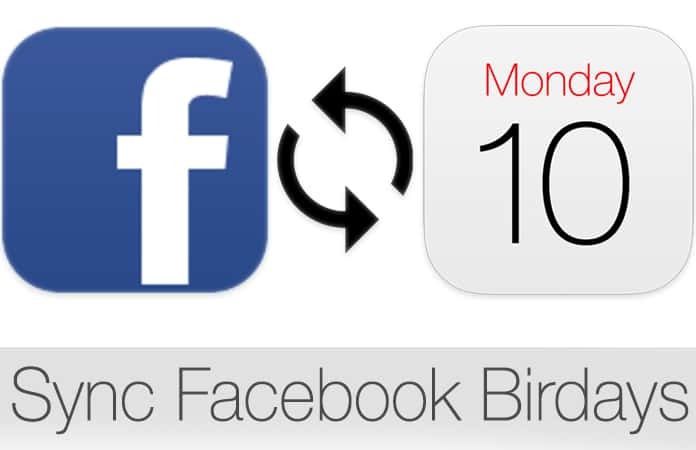 Here we will show you how to sync the calendar from Facebook to your Mac. Follow the steps below to complete it. 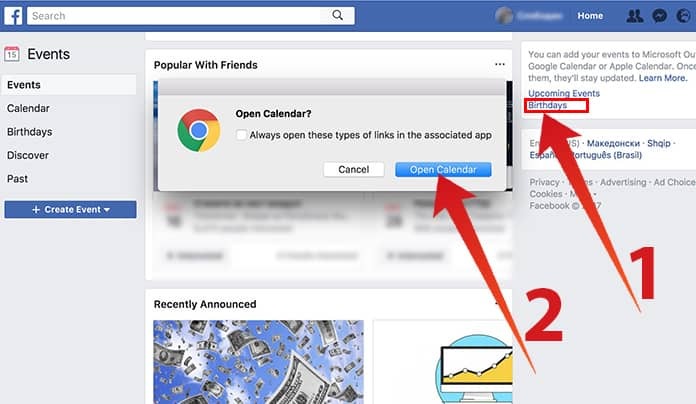 Step 1: If you use a Mac and want to add the Birthdays calendar or the Facebook Events to your Mac calendar, you need to visit your Facebook events page from your favorite browser on your Mac. Step 2: After that scroll down to this box in the right-hand column and click on Birthdays. Step 3: You will see a calendar in the background and option to subscribe. 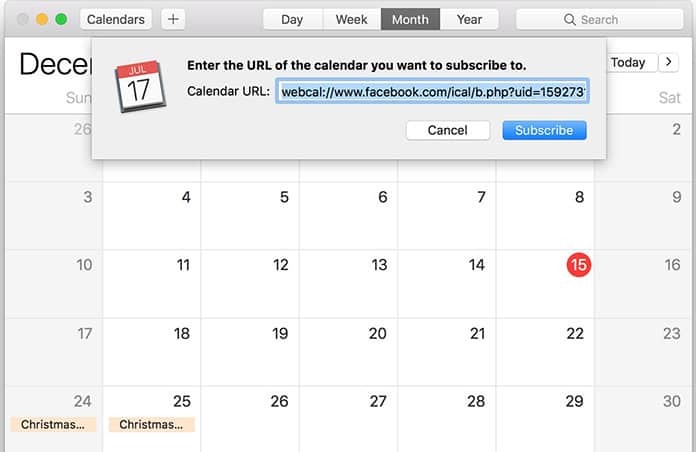 Click on subscribe and the Birthday calendar will appear on your Mac calendar. Step 4: You’re done. You have added the Facebook calendar to your Mac. By following the process mentioned above, you can easily sync Facebook birthdays with iPhone or Mac. 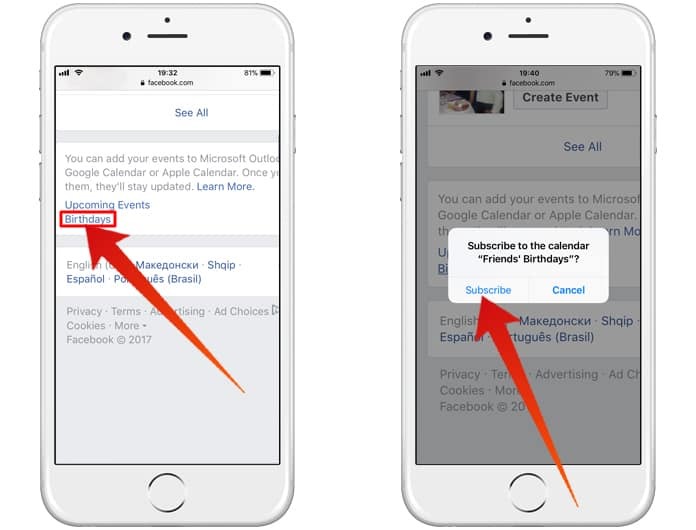 If you want to see it, open the Calendar app and here you will be able to see Facebook Events and Facebook Birthdays. You can easily find the birthday of any of your friend from here. You can also keep track of the events from your Facebook.